We’re all familiar with the unique design of the Nintendo 64 controller and it’s much more modern usage as a shell for Chinese Famiclones. We’re also quite familiar with the fact that the N64 controller’s joystick has a tendency to become loose and work poorly, or stop working entirely. 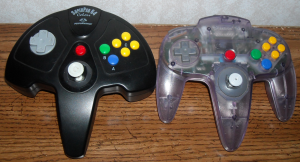 So when our favorite controller decides to give up the ghost, what choices do we have in a more reliable controller for our beloved N64? For the past few years I’ve noticed a slew of reproduction N64 controllers that look identical to the real thing, as I haven’t had the chance to get my hands on one I can’t say much in the way of how good they are, or not. But what if you’re looking for something outside the box, something with a different shape entirely? 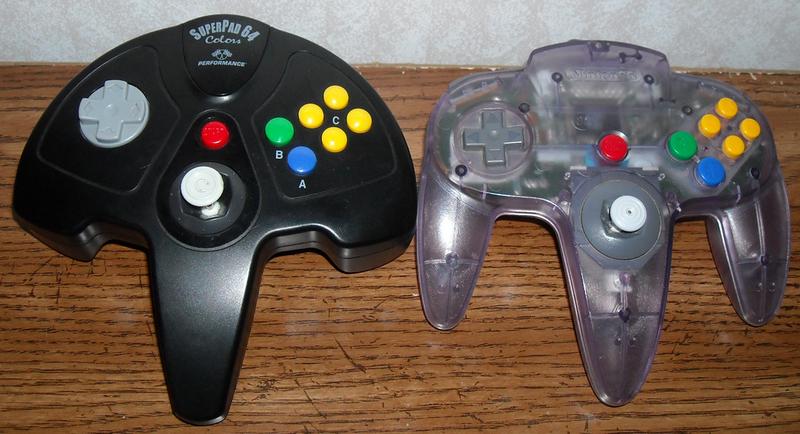 Well Performance made quite a few N64 controllers that looked much worse than the original N64 controller design, somehow, but work quite well. Performance was always in the market making memory cards, controllers and almost anything else you can think of for the N64, as well as almost any other video game console. 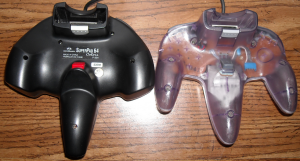 Performance was perhaps most well known for providing controllers with built-in turbo features, as well as making simplistically standard replacements for worn out or broken controllers. If you were short on cash but needed something for your N64, you probably bought yourself something from Performance. Recently I’ve come across four Performance SuperPad 64 controllers, 2 gray and 2 black. The gray ones were in good shape, other than their broken Z buttons, which I will get into later. Three of the four share the same design as you see above, but the fourth controller seemed to be designed by Picasso, with strange angles and an overall strange shape. Outside of comfort, which there isn’t much comfort when using this controller, the controller does a great job. I assume Performance designed this controller to be even further outside the box of normalcy, while still retaining complete functionality, which they have achieved! Despite its design, the controller isn’t uncomfortable, but sometimes reaching the buttons can be a bit more of a stretch than you’re use to with the original or the Stingray design of Performance’s other controller. 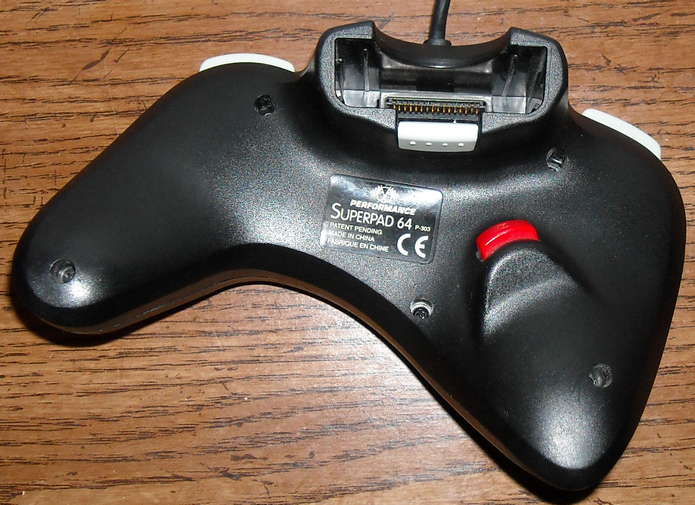 All of Performance’s SuperPad 64 controllers share one common thing that really stand out in my mind, the joystick. I’ve only taken one apart because it was pulled out of place when I got it, but it was very easily put back into working order. Everything inside the joystick seems well thought out for the long haul, unlike Nintendo’s idea to use cheap plastic throughout. My one complaint about these controllers are the Z buttons. In both of my gray controllers the Z button was broken, not the actual button but the piece inside that pushes in the carbon pad to activate it, rendering the controller useless for many games. I guess with such a robust joystick Performance had to make a misstep somewhere, and the Z button took the hit. 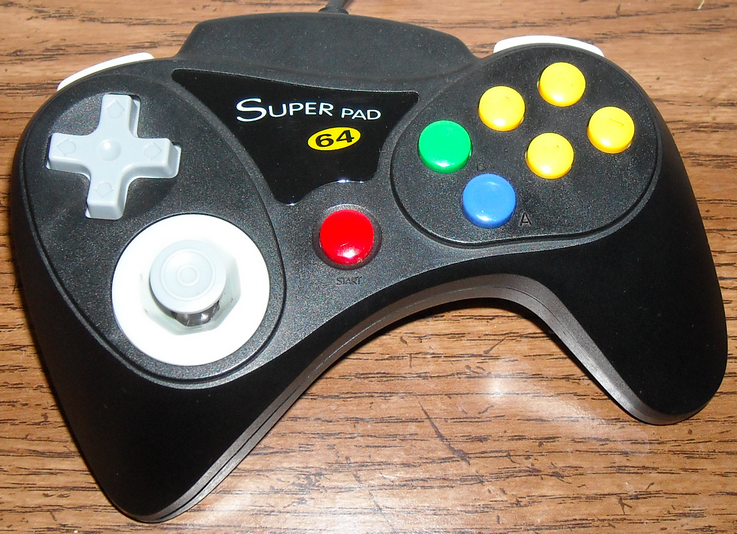 If you’re looking for a replacement controller for your N64, or just want one with a better joystick, I would say the Performance SuperPad 64 isn’t entirely bad. I found mine at the Goodwill Outlet for the standard $.79 a pound, so I imagine they should easily be found in thrift stores fairly cheap. Although they’re not nearly as, dare I say, comfortable as the original N64 controller, the joystick alone is a feature that is worth adding one to your collection. This comes with some great timing! I recently found an N64 (sans controller) at Goodwill for 10 bucks. However, it seems like, at least in my area, people seem a lot less willing to part with their controllers. 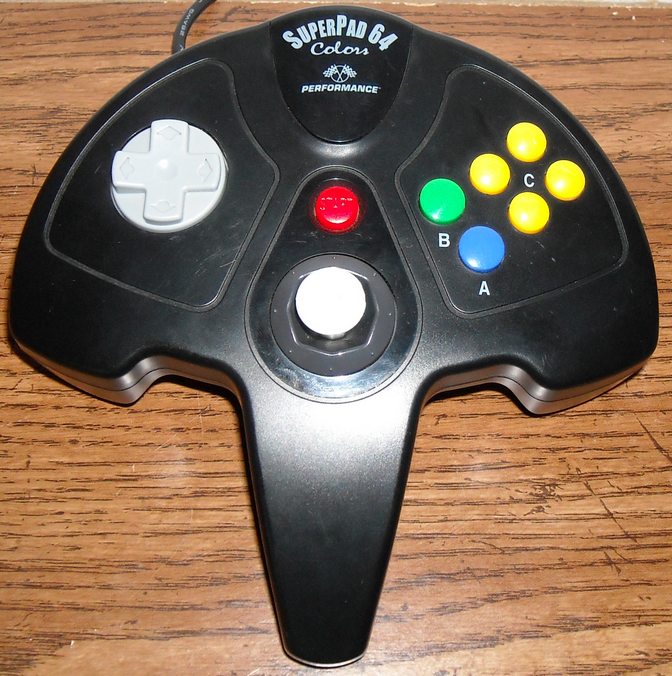 Games are easy to find (and surprisingly cheap) but even craigslist ads for N64 controllers are quickly snapped up. Usually I just get a response of “well, I just have games and the system, no controllers, though”. It seems as though, recently, these controllers have become a hot commodity, or just more scarce. I go to retro game stores and they are often 30 bucks or more. Considering I bought the system for 10 and Goldeneye for 8, and looking forward to some 4 player action, it kind of hurts to imagine spending 100 bucks more to do so. Online prices are usually better, but only for the 3rd party controllers with bad reviews (and they get ya on the shipping). I found a refurbished 1st edition Super Gamepad 64 on eBay for 6 bucks, we’ll see if I can land that. It still amazes me, though, that my biggest barrier to playing this N64 is finding something as simple as a working controller. I hope this helped give you a little insight into some alternatives. I’m sure there are more out there, but I don’t currently own them to be able to really judge them. Hopefully soon I will be doing a simple N64 joystick swap tutorial, in case that problem ever arises. Bwahah! In case? It’s almost a sure thing, unfortunately. But finding joystick replacements is easier than finding a whole new controller. These gutted Interact Superpad 64 controllers were used by VM Labs during game development before any official controllers were available. The exterior is exactly the same as a standard Superpad controller, with the exception of the NUON logo sticker on the face, but the internal hardware is completely custom. You can see a bit of it through the N64 memory card slot on the back of the controller.